Amazing Nintendo Switch deal for those who are still looking to buy one. 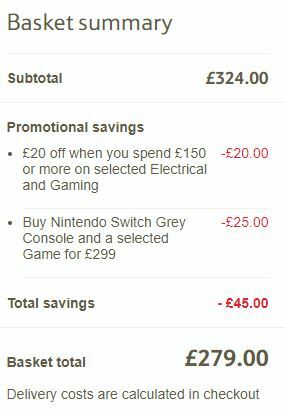 Buy Nintendo Switch console in grey with FIFA 18 and save £25.00. You can also get Nintendo Switch in neon/blue at Tesco with two games of your choice, which includes The Legend Of Zelda: Breath of the Wild and Mario Rabbids Kingdom Battle.